Your shots are outstanding Sir! I especially love the first one: the upside down inverted reflection. 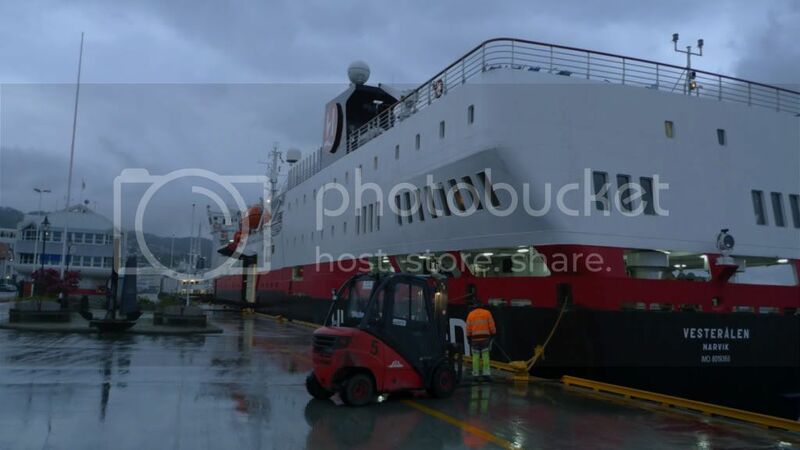 This is the hard thing for us right now I think: we have probably the best online Hurtigruten ships gallery online anywhere, and now, since we have so many images of all the ships, it is important for all of us to find new ways to picture the ships, new situations and not only create snap-shots. 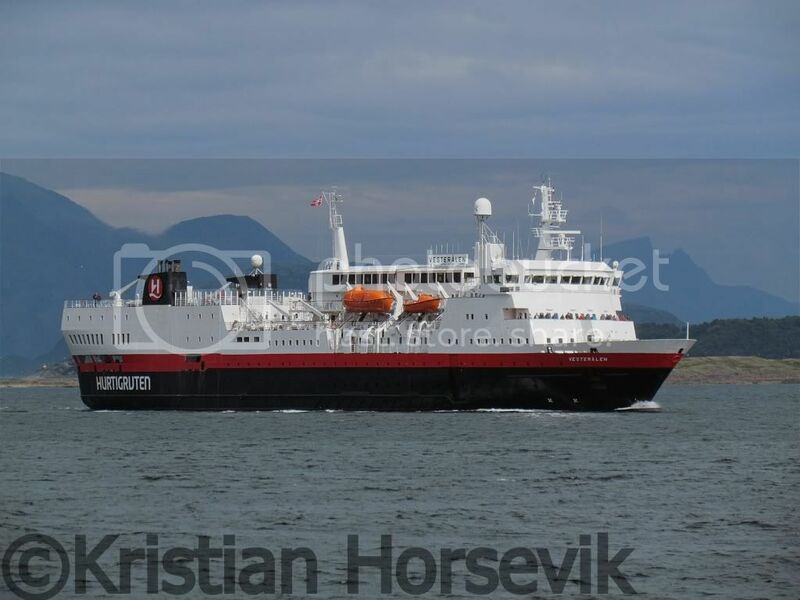 These shots that yo uhave taken today reminds me of another one which was taken a LONG time ago: I think it was of the Håkon Jarl sailing out of Bodø. That is kind of why I especially love these shots that you have created today. 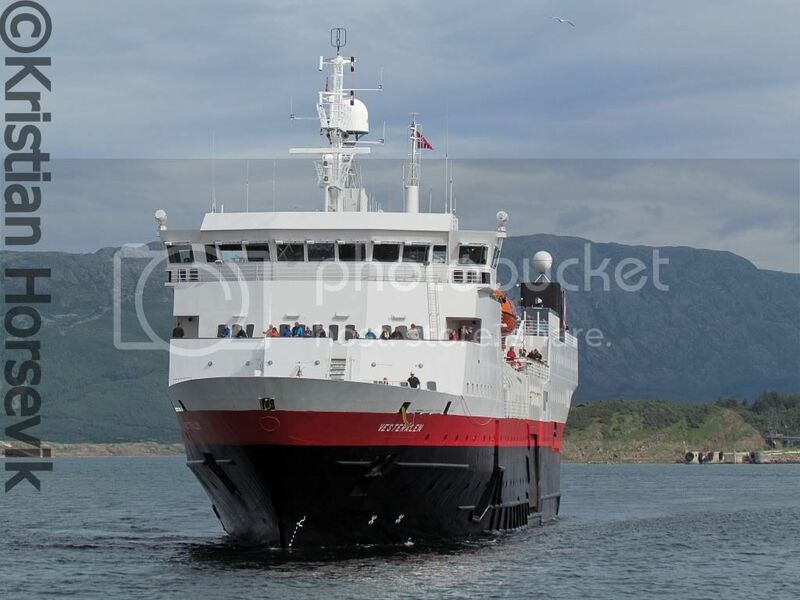 I don’t recollect having seen a view of a hurtigrute taken from the higher viewpoint of photo 4 before, and the last photo too after the ship has turned. Wonderful! 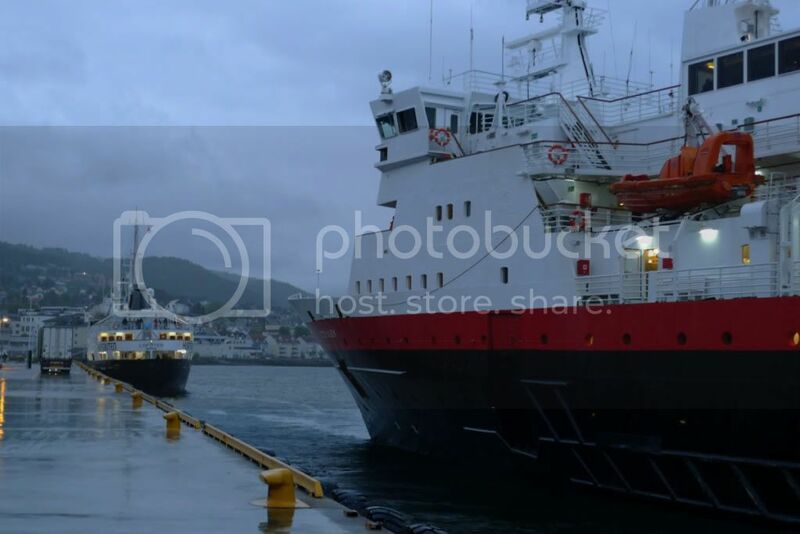 I have nothing much to say, other than to express how much I like the images of both Jan-Olav and 'Speedbird'!! Thank you guys, for letting us see these great photos. 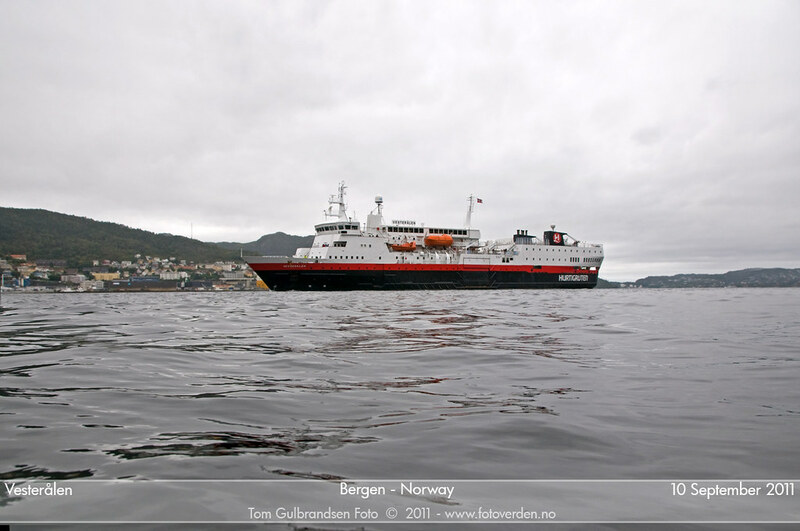 (And just now, I realize how much I miss Bodø, and how I want to visit the city yet again). 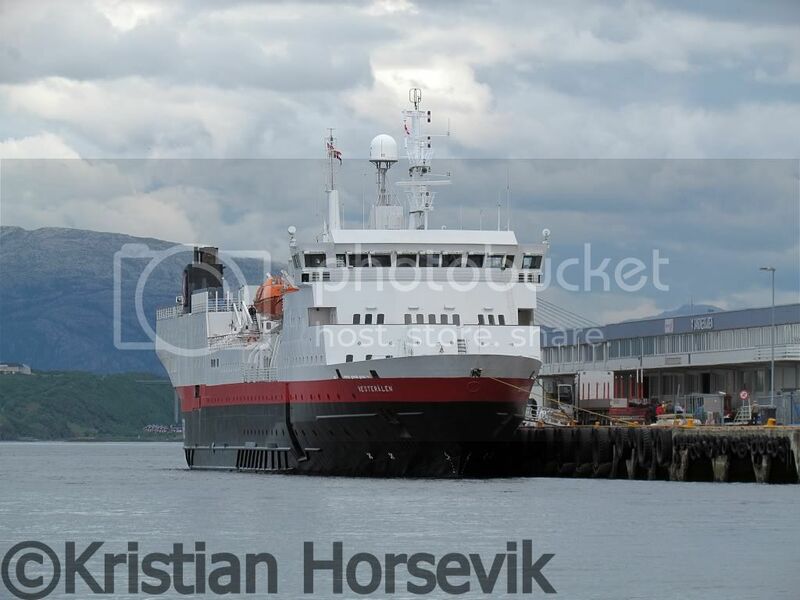 ....And just now, I realize how much I miss Bodø, and how I want to visit the city yet again). That was exactly what these photos made me think too. 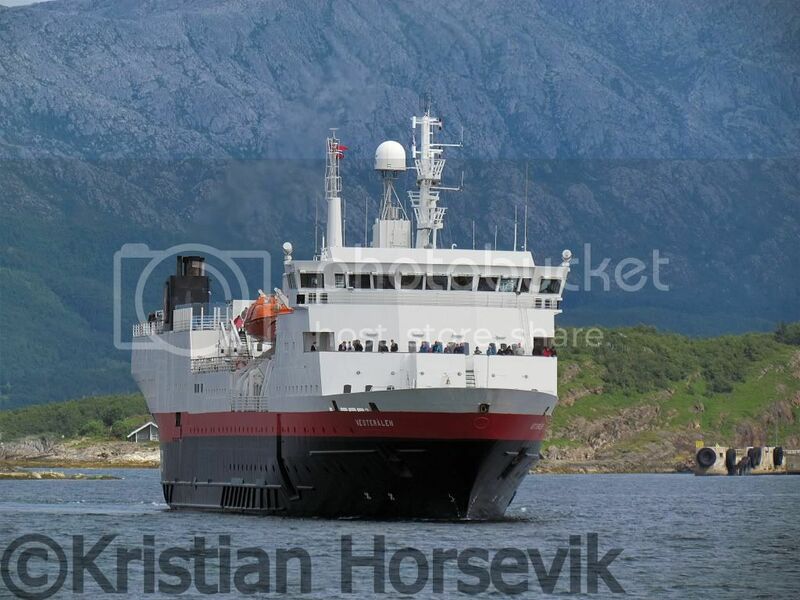 I can hardy believe I have stayed in Bodø several times and have still not walked round to the fortress on Nyholm. Nice and sharp pictures! I especially like the first one! 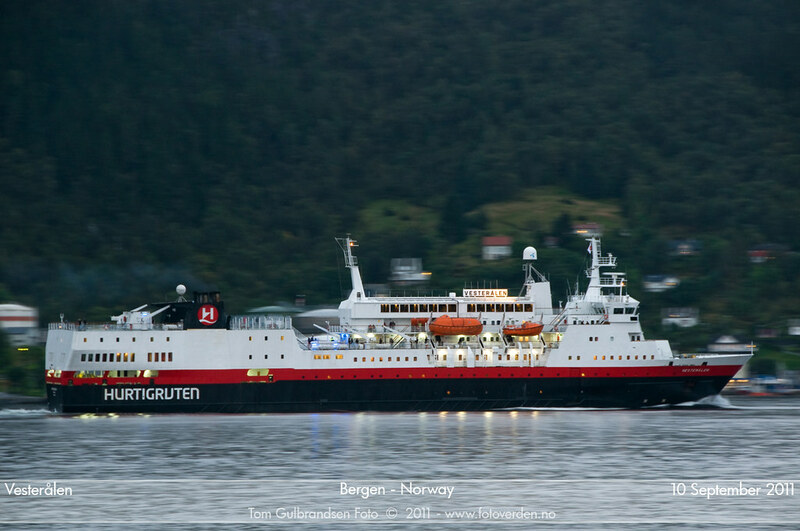 It seems that these days have the perfect light conditions for evening pictures of the Hurtigruten fleet. You should present them in an own gallery. Maybe Jan-Olav can insatll these on his main page? 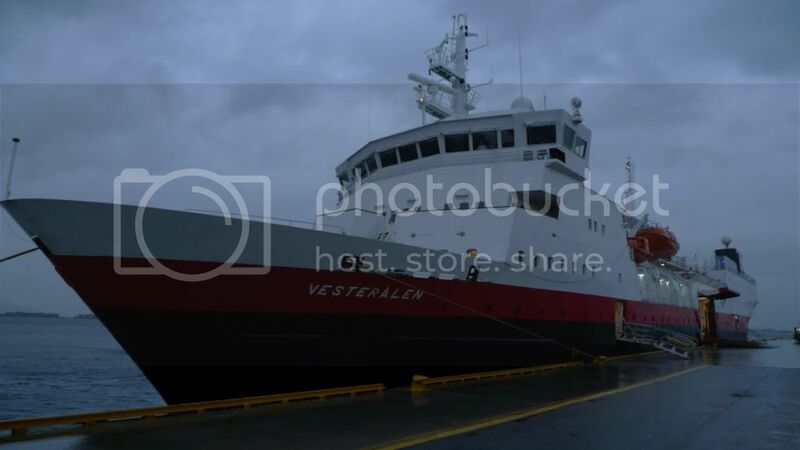 In this image, even the traditional Vesterålen looks good! "Vesterålen" north from Tromsø sunday evening. 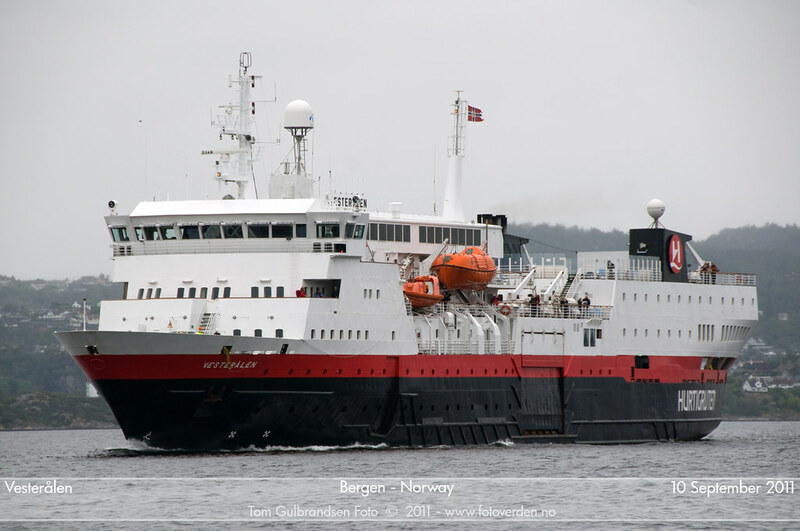 Brilliant image Bengt... sometimes I wish we would see VR's blue band return to Hurtigruten: even if just for a season. Last edited by Petrel; September 28th, 2011, 00:48.